TN Dept of Education Urges Students To Participate in Walkouts. Why would a Commissioner of Education in Tennessee send a letter to all schools to encourage their students to participate in upcoming student walkouts? That’s what Candace McQueen has done, all under the guise of student safety, and the right for children’s free speech. Really? What Candace McQueen isn’t telling parents is who organized these national events, and what they really are about..it isn’t about safety..it’s all about resist, and selective activism. In the five page “Guidance on Student Walkouts” (*read entire document below), it urges students, teachers and administrators to participate in three planned, “student led” protests, even providing sample notes to be sent to parents. These aren’t student led events, these are protests organized by radical, leftist leaders of groups that are also active in dismantling and destroying America. The first event is scheduled for March 14, led by none other than Linda Sarsour,of the Womens March. Sarour is a Muslim activist who hates America, and promotes Sharia Law, which oppresses women. Sarsour has called for jihad against the President of the United States, supports Muslim Brotherhood front groups with known ties to Hamas, and is active with promoting the Black Lives Matter movement. Below Sarsour still uses the false narrative of hands up don’t shoot as equating her concern for all children’s safety. If you are a leftie, and believe in the resistance movement then March 24th is the protest for you. March For Our Lives continues to state it’s a “student led” walkout, except it’s occurring in Washington DC! Can masses of children in high schools afford the transportation, lodging, meals and any other expenses on their own, probably not. So left leaning, socialist loving actors like George Clooney, Oprah Winfrey, Kate Capshaw, and Steven Spielberg have donated thousands, ($500,000 to be exact) on their behalf. Finally, the April 20th “schoolwalkoutUS” is set on that date to remember the victims of the first school shooting 19 years ago in Columbine High School, although kids in high school today weren’t even born then. Despite calls to set another date out of respect for those who died that day, organizers feel its appropriate. Again, it is who is leading the charge for this march, which is the “indivisible” crowd. The same “indivisible” that has waged war against President Trump. Indivisible was formed at the same time Obama’s resist movement “Organizing for Action” was formed, and their mission statement reads in part “a grassroots movement of local groups to defeat the Trump agenda, elect progressive leaders, and realize bold progressive policies”. Candace MCQueen, the Commissioner of Education for TN Schools, seems to think promoting these events is a good idea, and it may be if you yourself are liberal and looking to create mini activists. Taxpayers in TN pay for children to learn, not to walk out of class. They also most likely don’t approve of re-scheduling tests that are to be given on April 20th. How is this fair to students who dont’ participate in these protests? Oh but it isn’t about being fair, it’s all about resisting. 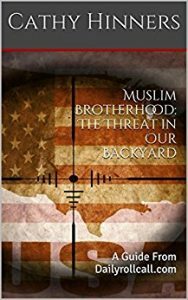 ← Previous Previous post: Broward County Deputy Trains Mosques for Active Shooters..But Schools? Next → Next post: The Truth About Islamophobia. This is disgusting. I remember when Williamson County schools had a wonderful reputation. We moved out of Nashville so that our child could attend. WCS. The past few weeks have caused me to rethink our situation. Private school is looking better every day. Is the document by the Tennessee department of Education posted anywhere online? Leslie, it is now posted at the end of the article.